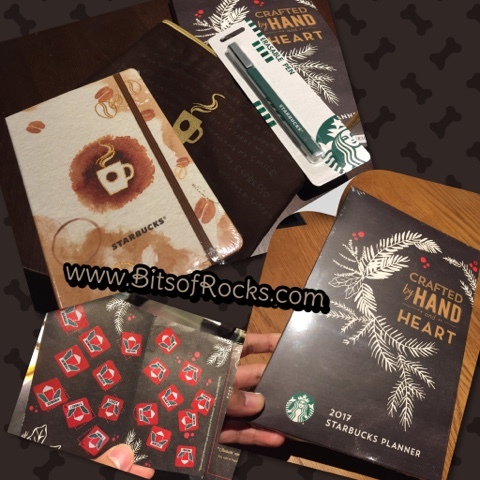 Since 2013, it's always my tradition to collect the Starbucks stickers for the Starbucks Planner. It's already a hobby of many of us. And I've joined the bandwagon. 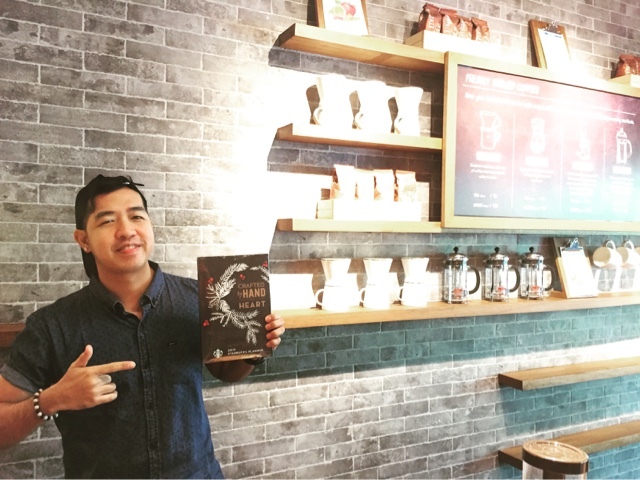 I'm a coffee lover nor a coffee drinker. But during the season of collecting the Starbucks stickers, I'm one of those staying in the coffee shops and buying my favorite frappucino. The hobby of collecting the SB Planners from 2013 to 2016 gives me now a total of 4 Starbucks Planner. Just like last year, the 2017 SB planner comes in two designs. This year, they are the green mermaid and the white coffee stain. I've chose the white coffee stain for a change! Yeah, this year's planner is better and more beautiful than last year's. The cover is wrapped with silk. And it comes with a cool pouch and a white pen eraser. 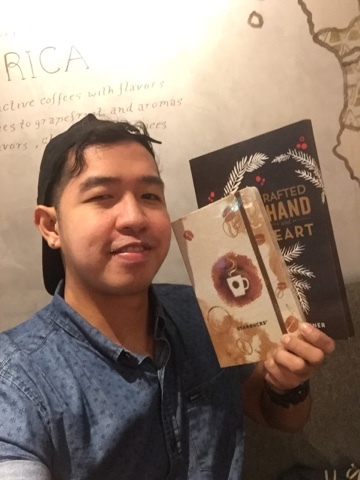 I've got my planner on the first week of December 2016, a result of drinking frappucino everyday. You need to collect 18 stickers - 9 Christmas flavors and 9 ordinary. And everytine I got a sticker, a posted a selfie moment in the shop. As 2017 started, I've started to write my schedules and my important moments on the first few pages. This is now my 4TH Starbucks Planner! This is not only a planner or scheduler for me, it's also my personal diary, my scrapbook of my souvenirs, and my secret keeper!